Latest from TVLine. 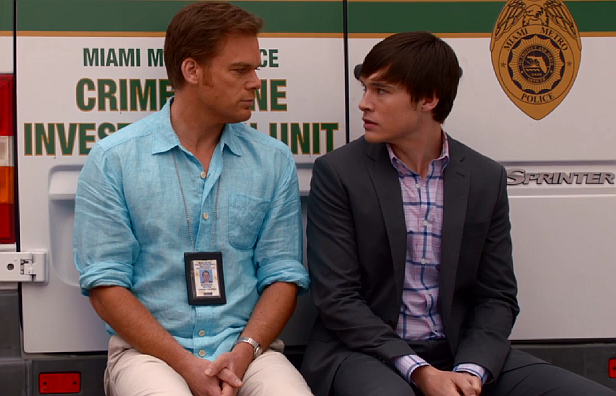 Check out after the jump a small theory/scoop about Zach and the possibilities of a spin-off revolving around Dexter's protégé. TVLine: "Anyone else relieved that the in-the-works Dexter spin-off will not revolve around cartoony creeper Zach Hamilton? (At least that’s how we’re interpreting this piece of news.)" There's also one more thing which indicates that the upcoming spin-off won't be about Zach Hamilton. Confirmation in the next few episodes of the final season.